Artificial intelligence can be applied wherever data are processed. Engineers in multiple fields should learn to test and improve it. In 1957, Herbert A. Simon predicted that within 10 years a digital computer would be the world’s chess champion. That didn’t happen until 1996. In the 1970s, Marvin Minsky predicted that “in from three to eight years we will have a machine with the general intelligence of an average human being.” Forty-five years later, our self-driving cars aren’t ready to ensure us crash-free transportation. With artificial intelligence, we have always had great hopes and dashed expectations. But don’t be fooled: AI is here now. It may not be the stuff of science fiction yet, but it has incredible applications in science and engineering—everywhere there are large amounts of data. Today’s AI systems attempt to reproduce the functioning of the human brain’s neural networks using a technique called deep learning, in which information is processed in layers and the connections between these layers are strengthened based on what is learned. If you tell an AI device exactly what you want it to learn and provide it with clearly labeled examples, it analyzes the patterns in those data and stores them for future application. The accuracy of its patterns depends on data, so the more examples you give it, the more useful it becomes. The key difference between AI and the statistical analysis tools that engineers use is that an AI system keeps learning and improving itself. Businesses are already infusing AI into their products and using it to analyze the vast amounts of data they are gathering. With it, they can reduce fraud, make better forecasts, and improve operations. Google, Amazon, and Apple’s voice assistants use AI to converse with us and learn all they can to serve up better ads. Amazon is using AI not only to make recommendations on what products we should purchase but also to improve the operations of its warehouses, manage inventory, and assess the quality of fruits and vegetables it delivers. Unfortunately, with AI, malicious players can also invade our privacy, facilitate the rigging of elections, and spread misinformation. Computer science and electronic engineering are the core AI disciplines, but the technology can be applied widely, from chaos theory to image processing and fault detection. Engineers in multiple fields should learn how to create and test AI systems, make them work more efficiently, and use them to solve a wide range of problems. Of course, there are limits to AI. An AI device is only as good as the data it receives, and it is able to interpret data only within the narrow confines of the supplied context. It doesn’t “understand” what it has analyzed, so it is unable to apply its analysis to scenarios in other contexts. And it can’t distinguish causation from correlation. AI is more like an Excel spreadsheet on steroids than like a thinker. The bigger issue with this form of AI is that what it has learned remains a mystery—a set of indefinable responses to data. Once a neural network has been trained, not even its designer knows exactly how it is doing what it does. It is a black box, and this can create problems in explaining the reasons for a conclusion. The technology is rapidly advancing, however, and AI developers are working on correcting its shortcomings. There is no reason to wait. AI needs to be an integral part of every engineer’s tool kit. 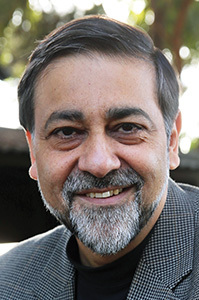 Vivek Wadhwa is a Distinguished Fellow and adjunct professor at Carnegie Mellon University College of Engineering’s Silicon Valley campus.